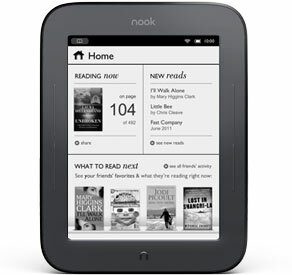 Today B&N announced a lower-cost version of its Nook Tablet, the “reader’s tablet” with a 7″ color LCD screen, which I’ve discussed before here. This new version matches Amazon’s Kindle Fire pretty much spec-for-spec and dollar-for-dollar by reducing the price to just $199. It also reduced the memory to match the Kindle Fire, now with 8 GB of internal storage (instead of 16 GB for the $249 Nook Tablet version) and 512 MB of RAM (instead of 1 GB for the $249 version). Probably a good move on B&N’s part to match the sub-$200 price of the Kindle Fire competition — I think many people would rather save $50 as a trade-off for the slightly reduced specs. 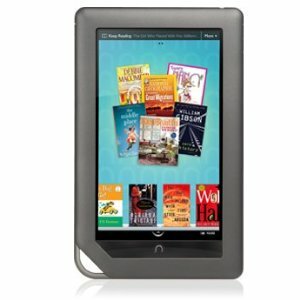 B&N also still offers the older-generation Nook Color (lowering the price by $30, to $169) and the e-Ink-based Nook Simple Touch (for $99). The new Kindle 4: the $79 "Kindle" and $99 "Kindle Touch"
Today Amazon unveiled their newest Kindle versions (what would be considered the Kindle 4), and is calling them simply the “Kindle” and the “Kindle Touch” for the touchscreen version. Both keep the 6″ e-Ink Pearl screen of their predecessors, and both lose the physical keyboard (replacing them with on-screen keyboards). 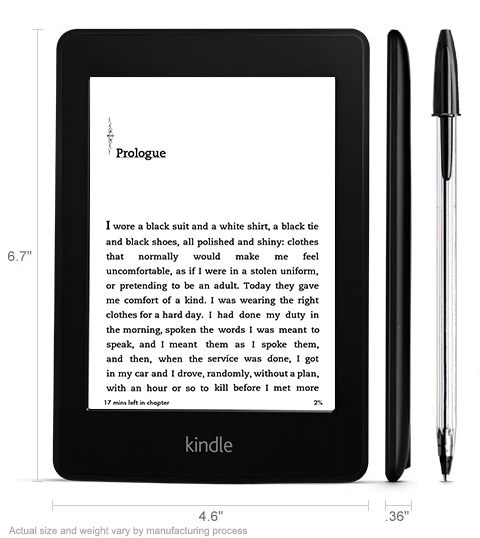 The big news is probably the price: the Kindle now starts at just $79. Considering that people have predicted for a while that e-reader sales would explode when they got below $100, $79 (for the Kindle) and $99 (for the Kindle Touch) is pretty big news. Of note, the new “default” price is the price with “special offers,” which means you get ads as screensavers and at the bottom of your home screen (but not during reading). I discuss it further here, but the ad-supported versions have become Amazon’s most popular, and some of the ads are even legitimately great deals (like a $20 Amazon gift card for $10). The non-ad-supported versions are $30 or $40 more each. The older (Kindle 3) model has been renamed the “Kindle Keyboard,” and has been discounted: $99 for the Kindle 3 Wi-Fi ($139 without special offers), and $139 for the Kindle 3 Wi-Fi + 3G ($189 without special offers). While I am not as convinced of the merits of a touchscreen as most people seem to be, what jumps out at me is the $79 Kindle: you get the same 6″ e-Ink Pearl screen, access to Amazon’s world-leading e-bookstore, all Kindles now have access to library e-book lending, and it weighs just under 6 ounces. 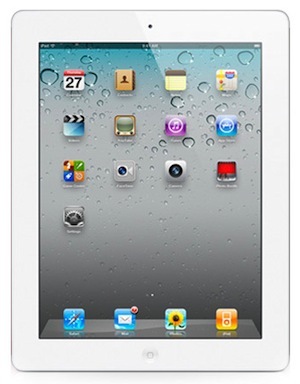 That is a very impressive bang for the buck, and the light weight makes it pretty perfect for a lot of users. The lack of a physical keyboard mainly only comes into play for those who like to take lots of notes or surf the web a lot; for the few times you might need the keyboard during normal use (to create and name a new “collection,” for example), I’d imagine the 5-way controller and on-screen keyboard will be fine. At the bottom of the Kindle (Kindle 4? New Kindle? 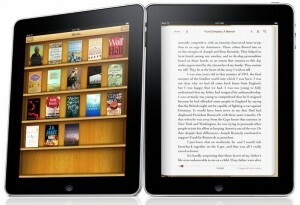 Kindle Sans Keyboard & Sans Touch?) is the 5-way controller from the previous Kindle, as well as home, back, keyboard, and menu buttons. 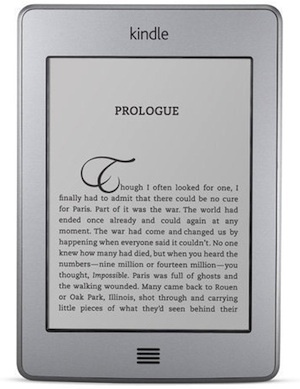 It also retains the narrow page turn buttons on each side, which I like in my Kindle 3. 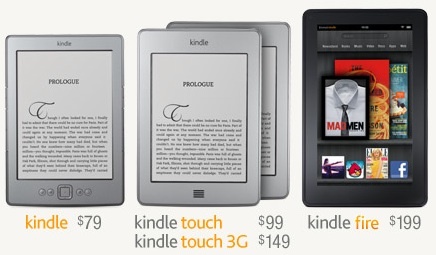 Of course, if you like touchscreens, for just $20 more, you can get the Kindle Touch for $99. Like Sony and B&N, the Kindle Touch uses a series of infrared beams to detect your fingers instead of an extra touchscreen layer (which would somewhat muddle the screen beneath). The Kindle Touch (and Kindle Touch 3G, which looks the same on the outside) has no physical buttons on the front or the sides — it seems everything is now accomplished through the touchscreen. Turning pages requires a swipe or tap on the side of the screen you want (left for back, right for forward). Both models are small and light, with the non-touchscreen Kindle an ounce or two lighter and slightly smaller (6.5″ x 4.5″ x 0.34″ vs. 6.8″ x 4.7″ x 0.4″ for the Kindle Touch). The $79 Kindle also has less battery life (listed at 1 month instead of 2) and storage space (2 GB instead of 4 GB); however, both should be more than enough for most users. The $79 Kindle doesn’t include speakers (so no text-to-speech). 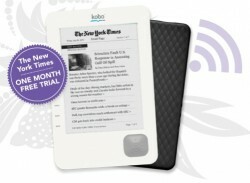 Both new models incorporate a trick used on the new Nook Touch: it only refreshes the e-Ink screen (which causes a brief black-on-white flash) every 6 page turns instead of each time. E-Ink flash never bothered me, but some people might prefer the new system. My analysis? Well, I haven’t been able to physically try one yet, but considering they have the same screen as my current Kindle 3 (sorry, I mean “Kindle Keyboard”), I think I can make some good guesses. I think the $79 Kindle 4 is going to be very popular this holiday season, because I think it gives most people everything they really need in an e-book reader, and at under 6 ounces. On the other hand, I’m not quite as impressed by the Kindle Touch versions. For people who like touchscreens, they will be great, but I’m just not on the touchscreen bandwagon. And, to compare apples to apples, the prices are really about the same as the versions they’re replacing when you compare ad-supported vs. ad-supported models; Amazon is (probably wisely) just focusing more on the ad-supported price instead of what used to be the “regular” non-ad-supported price. 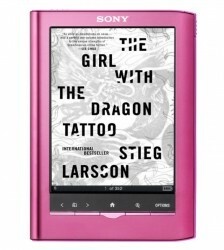 On the other hand, getting an e-reader from the industry leader, with library lending, Wi-Fi, and a touchscreen for under $100 is still a heck of a deal. A couple of final notes for now (I’m sure I will have more soon about these new models): back in January, I advised readers that the next-generation Kindle would not arrive for “at least 6 months, probably closer to a year (maybe just before Xmas).” That was just over 8 months ago. The $79 Kindle is available now, while the Kindle Touch version should start shipping November 21, pretty much just before Xmas. I also predicted that color e-Ink or Mirasol was probably further away than that. As an e-book and e-reader evangelist, and someone who really enjoys reading on my Kindle 3 and can’t imagine going back to printed books, I hear lots of arguments as to why people don’t want to give e-books a try. While some of these are valid concerns, some are (IMHO) unfounded. I’ll try to separate which is which. 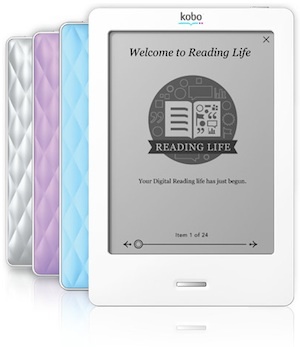 This is probably the #1 reason I hear from book-lovers who don’t want to try an e-reader. They talk about the “feel” of printed books or the “smell” of them. They often conflate fond memories of reading books in their childhood with fondling the physical pages. But what do we really enjoy about reading? Smelling paper and glue? Feeling pages? Would we have as much fun buying a ream of printer paper and just holding it in our hands? No, it’s the words that we enjoy; it’s the stories that make the book. That’s what makes the reading experience special and memorable. And all the words are still there on an e-reader — better than ever, because you can adjust the font size, look up meanings in a built-in dictionary, and take literally millions of those words with you wherever you go. I’ve always loved books. I’ve read hundreds. I loved them so much, I wrote three of them. But I can state with 100% certainty that I do not miss the paper that books were printed on even one iota. 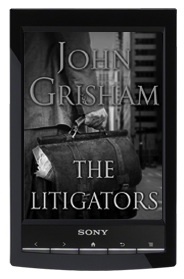 I get just as engrossed in the words, and enjoy the story just as much on my e-reader. In fact, I find myself reading more on my Kindle, and I enjoy the reading experience more. I have it with me more often, and it’s just more comfortable to read one-handed. Believe it or not, when I switch back to paper, I find turning pages (instead of just pressing a button) slows me down! While I hear “But I’ll miss the smell & feel of paper” quite often, I have literally never heard it from even one person who actually tried an e-reader. I can understand this sentiment somewhat. After all, some of us enjoy keeping a particularly treasured book, or even displaying it for others to see. (On the other hand, some people like e-readers because they make it tougher to see what you’re reading — so you can catch up on that trashy romance novel during lunch without your co-workers snickering.) However, I’ve found that there are only a small handful of really great books I want to keep on my shelf (The Hitchhiker’s Guide to the Galaxy and Lamb come to mind) — and I still do. But for the vast majority of my reading — which I would have bought in paperback and not hardcover anyway — getting stuck with books once I’m through reading them is more annoyance than asset. Some avid readers run out of shelf space and rent storage space for their books! An e-reader solves that problem nicely. On a similar note, some people complain that they aren’t able to re-sell e-books like they can with printed books, which is true. However, I’ve found that it’s very rare that I’ve been able to sell used books, especially paperbacks. If you’re lucky, you might get 10 cents for them at a garage sale or a quarter from a used book store. Big deal — it’s not worth the hassle. Most e-books I buy are less expensive than print books anyway, and I’d much rather save a couple bucks up front than hope I can try to sell a used paperback for more than a pittance. But, which one is better for reading? 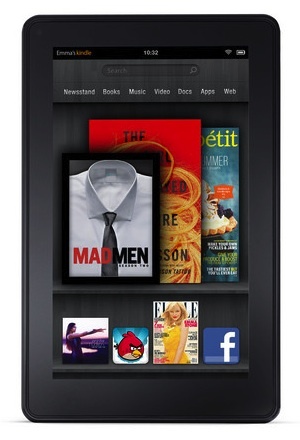 The Kindle 3, hands-down. 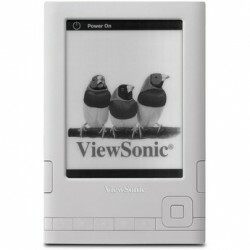 The e-Ink screen, which isn’t very good for games or Internet surfing or movies, is much easier on the eyes than an LCD screen, especially when reading for long periods or reading in sunlight. Compared to the iPad, the Kindle is also roughly 1/3rd the weight, 1/3rd the price, and the battery lasts a month instead of 10 hours. 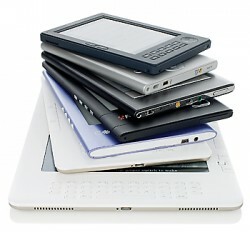 As mentioned above, if you don’t like to read (or you only read very rarely), a multi-function tablet computer might be a better choice. 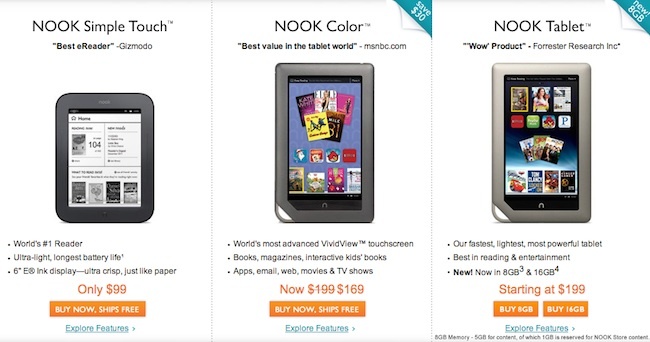 But any serious reader will easily get $139 worth of value out of a Kindle 3. I’ve posted about DRM before, and it is a strike against some e-books — those e-books released by publishers who use DRM (many smaller publishers, independent authors, and public domain books don’t use DRM). And it is true that most e-book sales are actually licenses — and you should understand what that means. The two issues are related, and are admittedly more complicated than the rules surrounding printed books, which most people understand pretty well already (you can lend or re-sell, but not copy and distribute). Personally, since I stick with DRM-free e-books, and I back everything up on my computer, my e-books are much more likely to be around in 5, 15, or 50 years than a paperback I buy today and will probably donate next time I move. There are some gaps in e-book availability. Some blockbusters, notably the Harry Potter series, aren’t available in electronic form due to the wishes of the author (although Rowling has recently said she might be open to e-book versions). (UPDATE: The Harry Potter e-books are available now.) Some series will maddeningly have some books available and other books in the same series not available yet (often because different publishers own the rights to different books in the series). And some e-books have geographic restrictions, where (again, for legal reasons) they’re available in certain countries and not others. This is sometimes true, but pretty rarely in my experience. Some publishers cut corners and scan printed books, then use OCR (optical character recognition) to convert them into e-books. You end up with missing periods, “tum” instead of “turn,” the numeral “1” instead of the letter “l,” and so on. E-book formatting ranges from pristine, to easily readable with a couple of quirks, to really annoying. This is another “growing pain,” and I think this is improving every day as well. If these sorts of issues bother you, my recommendation is to sample the e-book before you purchase and see if the formatting is up to par. If readers demand good formatting, no DRM, reasonable prices, etc., publishers will have no choice but to cooperate, or be replaced by someone who will. Another popular complaint. And, some of them are. (Of course, some print book prices are way too high as well.) But, on the whole, e-books are significantly less expensive than printed books. Even bestsellers usually sell for $9.99 – $12.99, which is cheaper than the average hardcover. 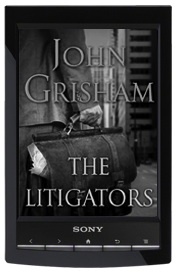 Most older e-books range from $4.99 to $7.99, which is cheaper than most paperbacks. There are thousands of really inexpensive e-books as well (including my own for $2.99 each), and special deals for 99 cents or even free. And the millions of public domain works (including great classics) are free — that’s enough to pay for the cost of the e-reader right there, especially if you’re taking a Literature course. All in all, e-books really are pretty cheap. I mean, what else can you get for $2.99?